Dynamite are definitely ezpanding their licensed young adults graphic novel range. 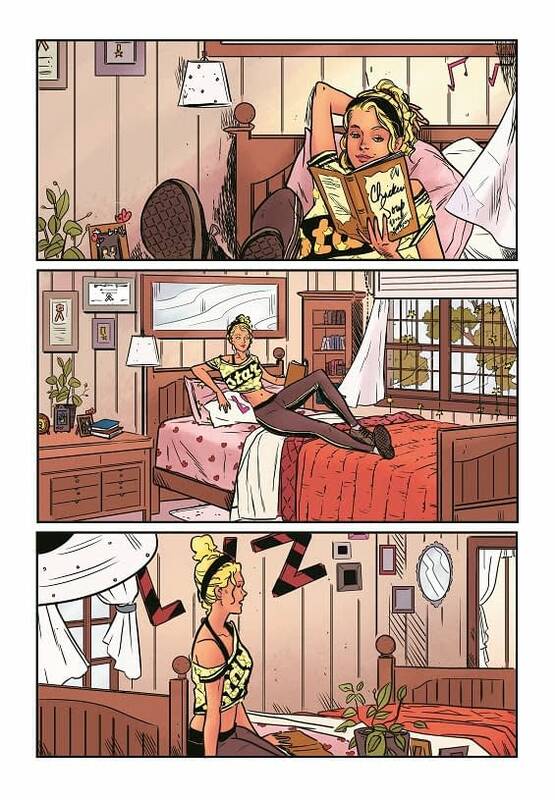 They sold out of their first Charmed Mange OEL graphic novel in ten days, have a new Nancy Drew & The Hardy Boys OGN coming out in June and joining it is the first Sweet Valley High original graphic novel, created in conjunction with the franchise creator Francine Pascal. 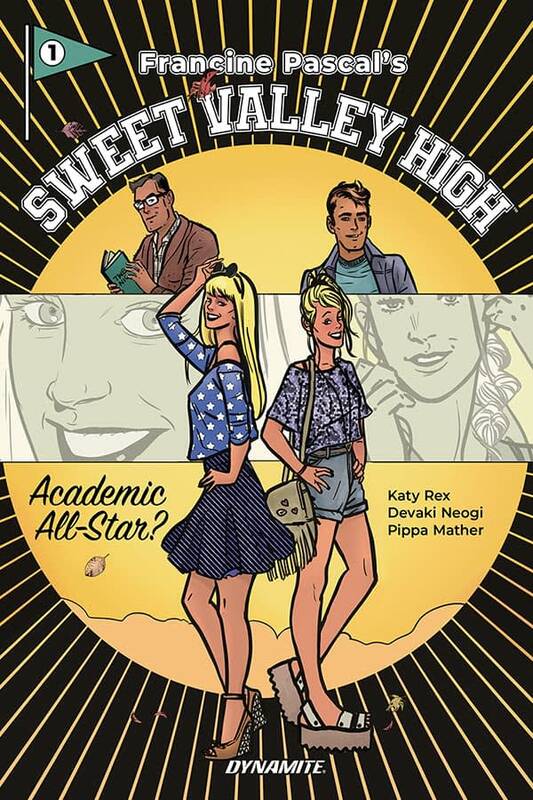 Sweet Valley High: Academic All-Star? 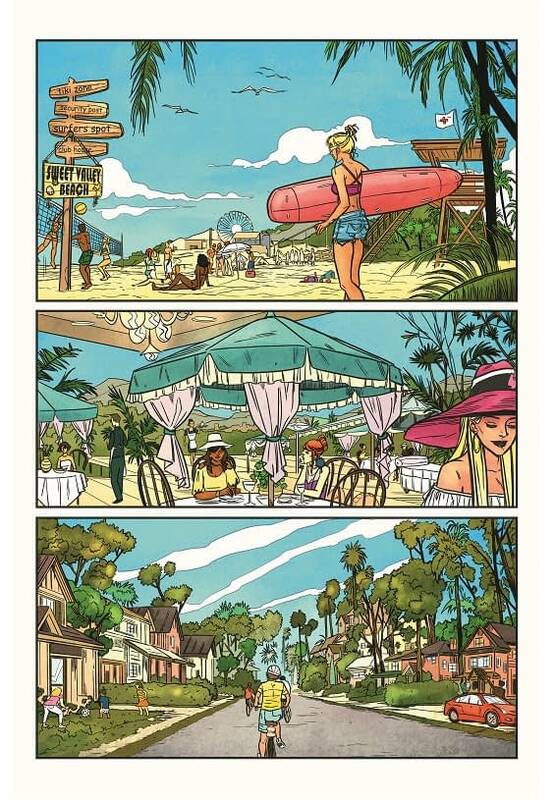 reboots the Sweet Valley High world, written by Katy Rex, drawn by Devaki Neogi and coloured by Pippa Mather. 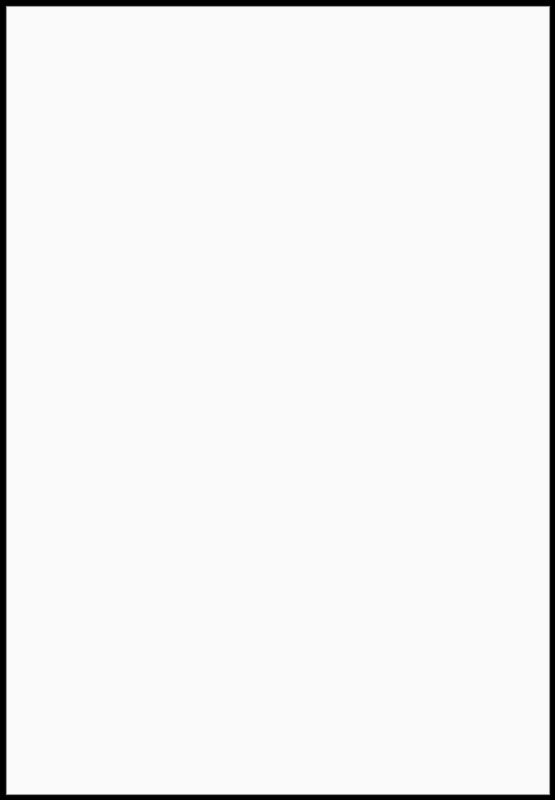 The original series of books debuted in 1983 from writer Francine Pascal and grew into 181 novels, with further spinoffs adding up to over 400 books and a TV series in the nineties that ran for four seasons starring Brittany and Cynthia Daniel.